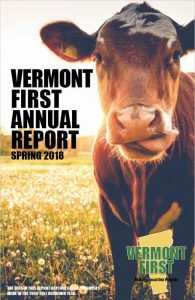 In Fiscal Year 2017, Champlain College purchased 13.2% local food, as defined by Sodexo’s Vermont First program. See the details of the statewide effort in their recent annual report. This entry was posted in Food, Uncategorized on August 17, 2018 by Christina Erickson. Shelburne Farms' April News: Earth Day, rennet's role in cheese, and "anti-recipes"
Expand Your Sustainability Skills & Knowledge with AASHE! Earth Week Mobility Challenge, Prizes & More!